A new estimate indicates that the number of Americans who suffer from Alzheimer’s disease could triple over the next 4 decades, if there is no progress made in treatment soon. Any Social Security disability attorney would also be very concerned about the implications for these patients, considering the slowness with which disability claims are currently processed by the Social Security Administration. Fortunately, The Social Security Administration recently added early onset/younger onset Alzheimer’s disease to its Compassionate Allowances program, which means that people who suffer from these conditions could have their Social Security Disability Insurance claim processed quicker. The new estimates were reported in the journal Neurology, and researchers say that by the year 2050, there will be at least 40 million Americans who suffer from Alzheimer’s disease. Alzheimer’s is the most common form of dementia, which normally affects senior citizens, and results in symptoms like cognitive deterioration, mental impairment, and a progressive loss of memory. Progress in the treatment of the disease however has been exceedingly slow. In fact, according to the report, if there is no progress in treating the disease soon, then the number of people diagnosed with Alzheimer’s disease could triple. Currently, there are several medications that have been approved for the treatment of the disease, but they work for a limited amount of time. In some people, these medications may have no effect at all. Some researchers believe that medications might be much more effective, if provided to patients during the early stages of the disease. If you or someone you know has begun to suffer symptoms of early-onset Alzheimer’s, get in touch with an attorney to understand your rights to Social Security Disability benefits. 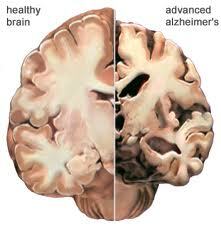 Tagged: "Alzheimers Disease and Compassionate Allowance"